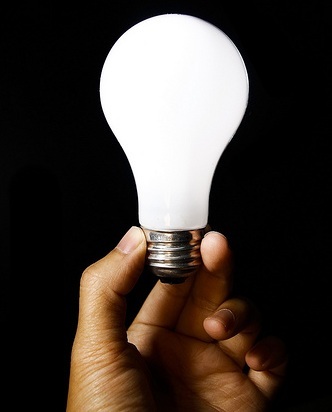 Where can a CIO look for innovative ideas? One of the best places is to have other departments in the company provide you with the innovation insights that you are looking for. The trick is finding a way to allow other departments to communicate these ideas to you. One way to go about doing this is to perform what is called a “deep dive” with the other departments. Take the time to immerse yourself into the lives of the departments that your IT department serves. The results of doing this can include the uncovering of unserved or underserved areas. It can also provide you with information on new directions and new frames with which to search for innovative ideas to apply to your IT department’s products and services. As though a deep dive wasn’t enough, you can take things one step further. You can create and execute what is called a probe-and-learn strategy with your IT department’s customers. This is the kind of approach that CIO’s use to find out more about areas where their IT department’s services are either not active or strong. When you are executing a probe, what you’ll actually be doing is trying out new ideas in a new context. The most important thing to realize about probes is that they don’t always work out. A high failure rate is to be expected; however, you need to make sure that you learn something new from every probe that you try. Innovation happens when someone has a great idea. What this means is that the more people that you are able to enlist into helping you search for innovative ideas, the better your chances are that innovation will happen for your IT department’s products and services. One way to boost your chances of identifying an innovative idea is to enlist other people who work at your company to help you out. This can be as simple as asking employees in the finance, sales, or even the procurement departments to keep their eyes open and let you know about trends that they encounter that may relate to the product and services that the IT department offers. This can be a great way to become aware of things that would normally go unnoticed. Every CIO would like their IT department to be more innovative because it’s a great way to show the importance of information technology, but exactly how to go about making this happen is something that too many of us struggle with. It turns out that it’s not hard to do once you know how. Three different ways to make innovation happen for your IT department include diving deep and really getting to know how your IT department’s customers are using your services. You can build on this information and create probe projects that try out innovative new ideas with the expectation that most will fail, but all will produce good learning opportunities. Finally, you can tap into the power of your in-house staff: put their minds to work on how your IT department’s products and services can be more innovative. Everything is possible, the trick is in finding out how to make it happen for your product. Take the time to investigate these three suggestions and see if you can use them to add some innovation to your IT department’s products and services in order to make them even more successful! Question For You: How long do you think that you would have to observe your IT department’s customers using your products and services in order to get valuable information?